The distinctive, all-new Ford Mondeo introduces new technical features to the Ford range and combines these with further improved driving dynamics and safety enhancements. 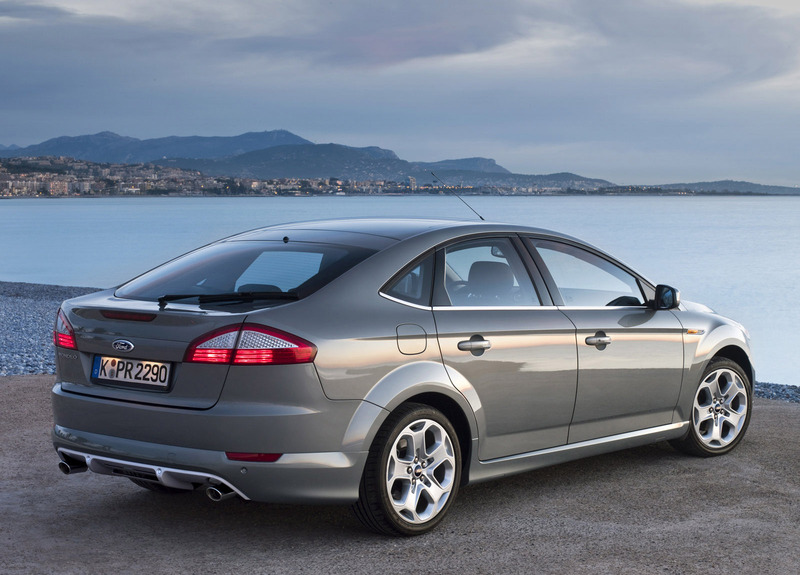 With three distinctively different bodystyles each demonstrating Ford of Europe's 'kinetic design' form language, plus a broad choice of trim series, technical features and a wide range of powertrains, the new Ford Mondeo brings new levels of refinement and comfort to its class, and to the Ford of Europe portfolio. 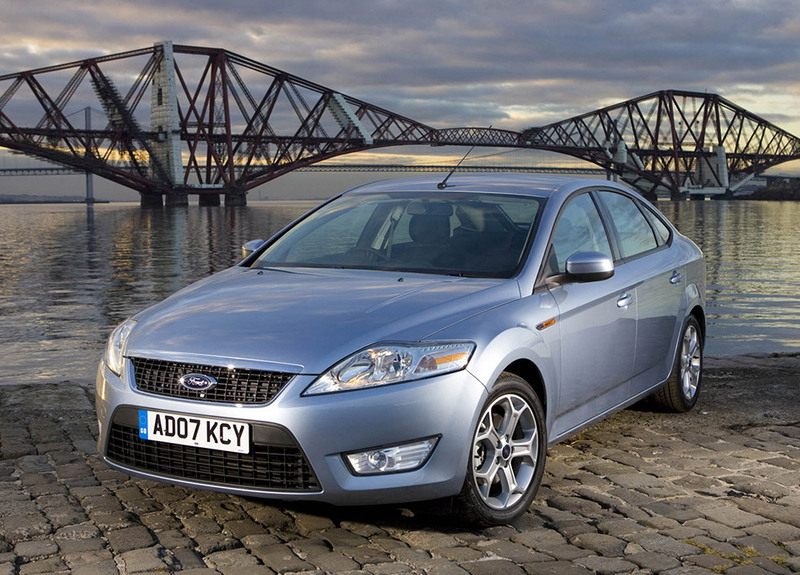 "The Ford Mondeo has always been acclaimed for its strong attributes, particularly its driving dynamics, safety performance and interior package," said Steve Adams, Vehicle Line Director, Large & Luxury Cars, Ford of Europe. "With this remarkable new model we've taken these qualities a step further and enhanced its performance in all of these areas as well as dramatically transforming its design and quality." Ford S-MAX - Car of the Year 2007 - and the new generation Ford Galaxy. A major advantage to developing vehicles in this way is that much of the development and testing techniques are shared with other models. "This approach to product development significantly reduces costs allowing us to focus more attention on providing additional customer benefits," Adams said. 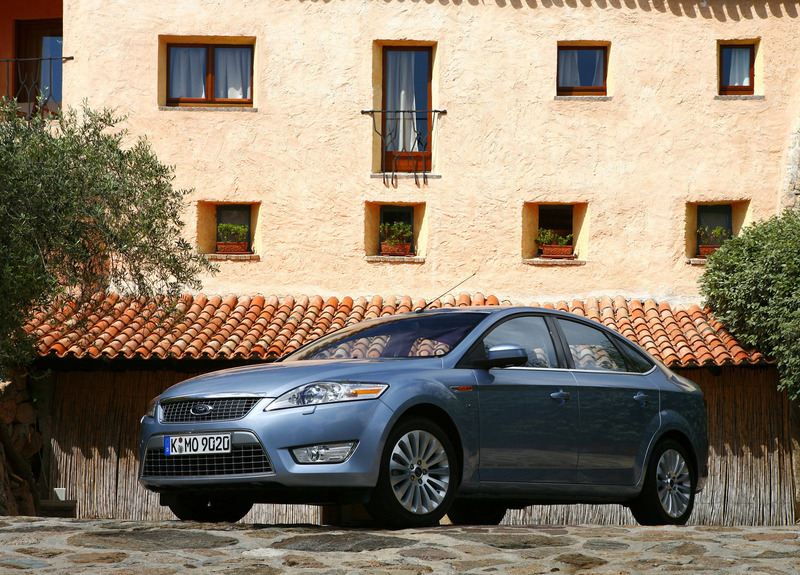 While the core architecture and vehicle features also appear in other vehicles in the Ford of Europe portfolio, the new Ford Mondeo has been designed as a distinctive model in its own right, and this starts with the unique design. 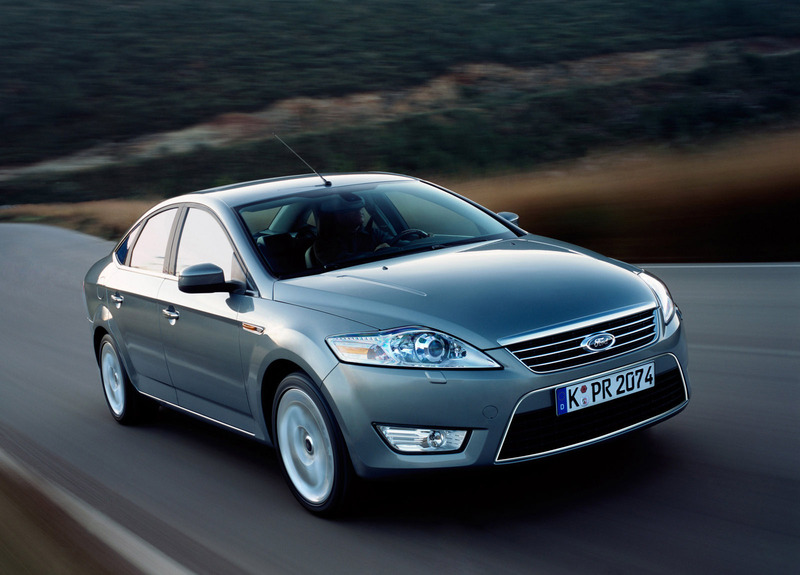 The design of the new Ford Mondeo has instant visual impact. New Ford Mondeo brings Ford's 'kinetic design' form language and philosophy to new levels, embodying all of its key elements. Together, these create a sleek and dynamic profile that represents 'energy in motion', and delivers a design presence that signals power and grace, setting it apart from other cars in the market segment . 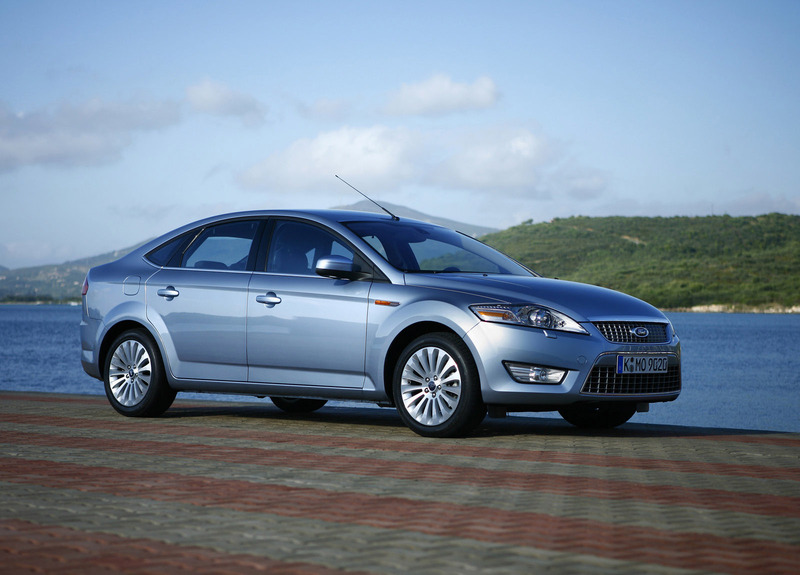 The key Ford 'kinetic design' signatures are evident in each of the distinctively different bodystyles - the classic four-door limousine, the stylish and flexible five-door sedan and the smart and spacious wagon. "We wanted to create an emotional connection with the new Ford Mondeo that would attract people from an aesthetic point of view even before they appreciate its technology," explained Martin Smith, Executive Director of Design, Ford of Europe. "Our goal was to make people feel impressed when they see the car, and ultimately want to own one." 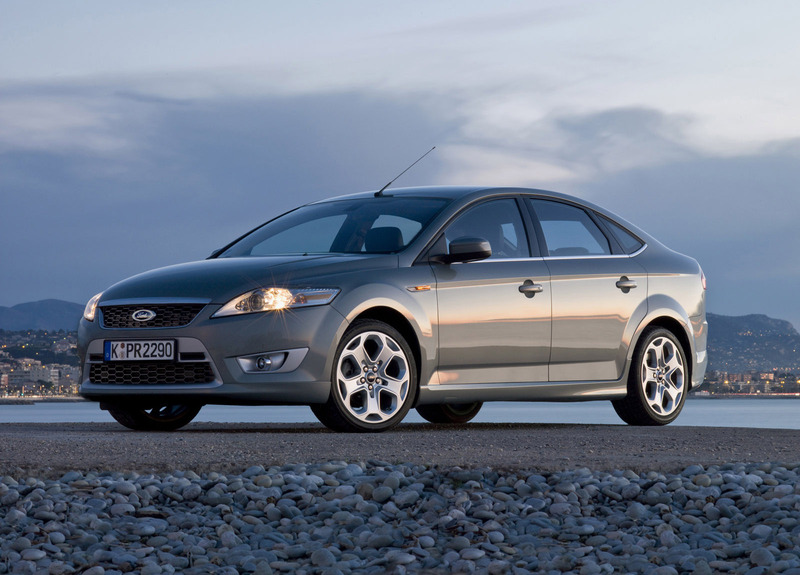 Every detail of Mondeo's design was pored over meticulously to reflect accurately new Ford Mondeo's positioning that the team defined for the car from the outset. 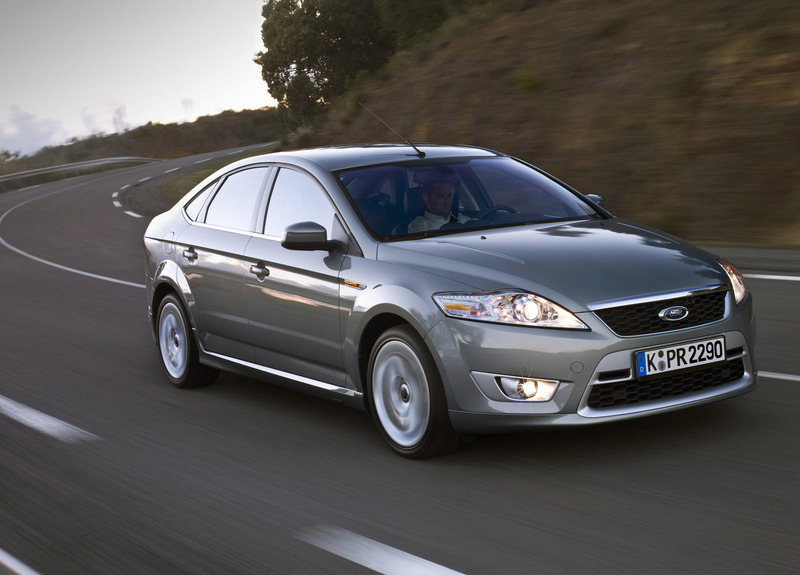 Even the exterior colour shades were selected carefully to indicate the prestigious nature of the new Ford Mondeo whilst at the same time clearly making it a car of its day. 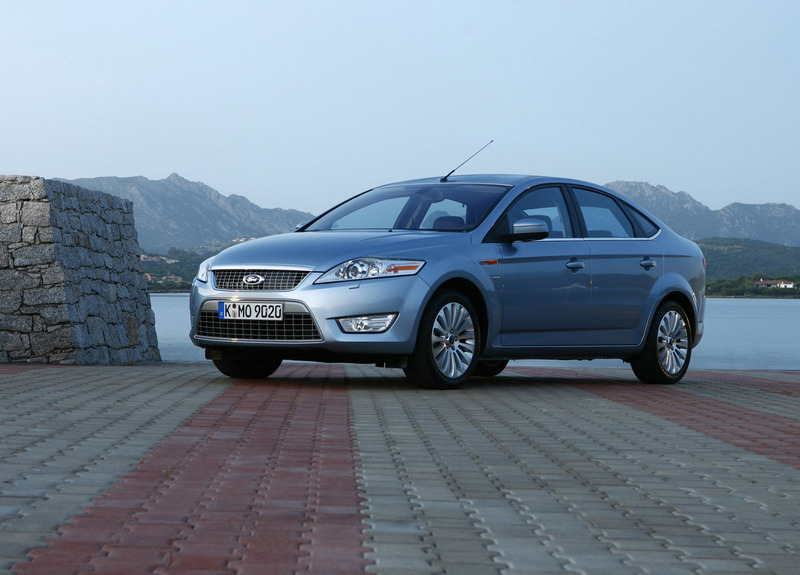 In size terms, new Ford Mondeo has grown slightly when compared to the previous model. For example, the new Ford Mondeo 5-door is 47mm longer and 120mm wider (with mirrors) than the previous model, confirming its credentials as Ford's flagship large car range. 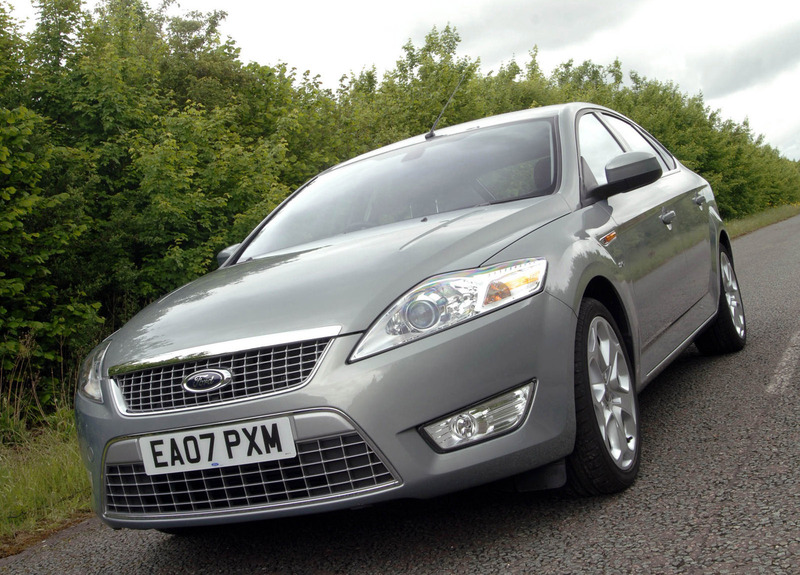 Immediately obvious when seen from the front is the new Ford Mondeo's distinctive 'face', which is characterised by its trapezoid-shaped lower grille, a 'kinetic design' element that is increasingly recognised as part of the new Ford identity and which is already evident on several recent Ford models, including the S-MAX and the recently redesigned Ford C-MAX. The large upper grille is flanked by prominent, swept back headlamps. Series differentiation is evident in the detail of the grilles with the Ghia and Ghia X models recognisable by the use of three horizontal bars featuring chrome accents in the upper grille, and the Titanium and Titanium X models featuring a silver-painted 'rectangular grid' design in the upper and lower grilles. Both high series have chrome surrounds on the upper and lower grilles. Ambiente and Trend models feature a 'rectangular grid' design in black for both grilles, with the upper grille surrounded by a bright chrome finisher. Due to the location of the sensor, vehicles fitted with Adaptive Cruise Control (ACC) exhibit the grille combinations as used on the Titanium model. The headlamps comprise the largest surface area ever used on a Ford passenger car and feature distinctive styling cues of their own; special blue filters on the optional Halogen and Bi-Xenon Adaptive Front lighting System (AFS) headlamps give gem-like qualities even when the headlamps are on the lowest sidelight illumination. The bonnet includes two shaped grooves in the surface which, in effect, create a 'power bulge', hinting at the dynamic qualities of the car. The additional bonnet height was viewed by the design team as a positive addition to the exterior design and adds to the car's muscular proportions in all three bodystyles. 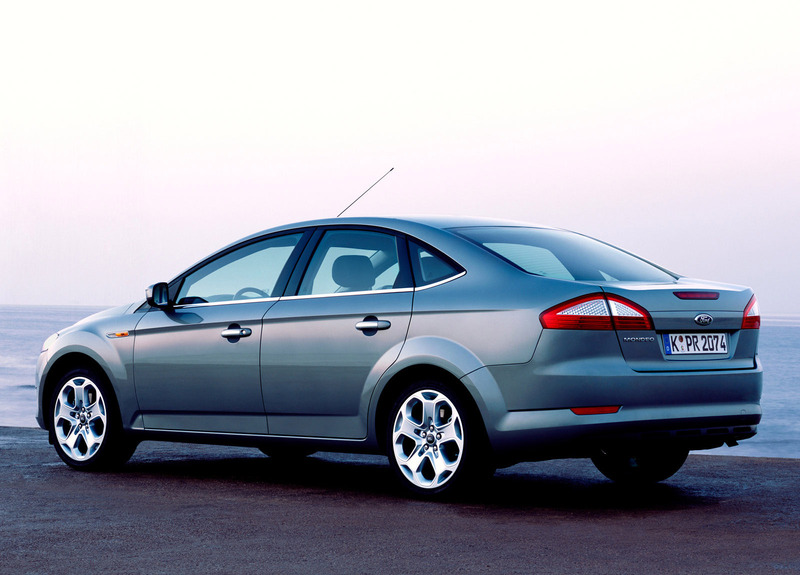 Viewed from above, the Mondeo's front three-plane-plan view is immediately evident, providing a clear link between the production vehicle and the definitive expression of 'kinetic design' - the Ford iosis concept car - first revealed at the Frankfurt Motor Show in 2005. The smooth swept-back 'chamfered' lines of the front bumper give the car a sense of presence, reduce the visual impact of the front overhang and serve to assist the driver when parking. 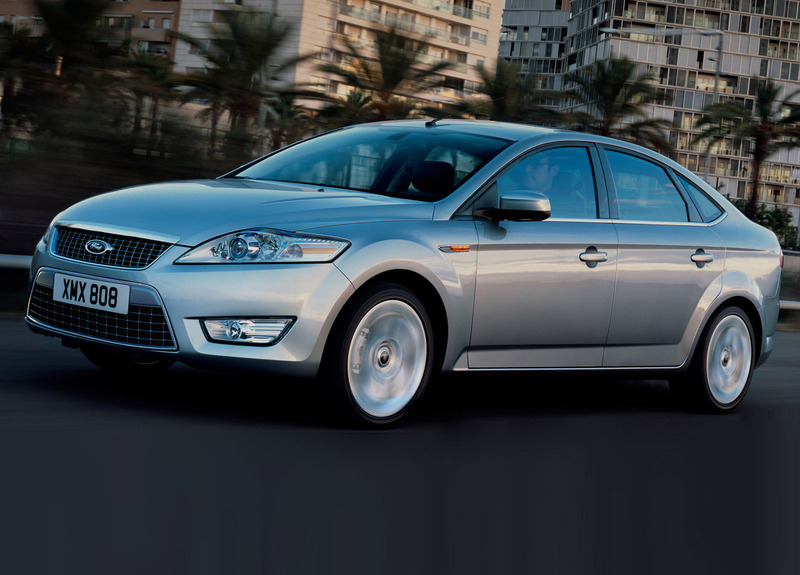 The front fog lamps are situated low down in the front bumper from Trend series upwards and mirror the line of the headlamps, which adds to the emotional experience of the new Ford Mondeo adding a touch of jewellery to the dramatic front end appearance. 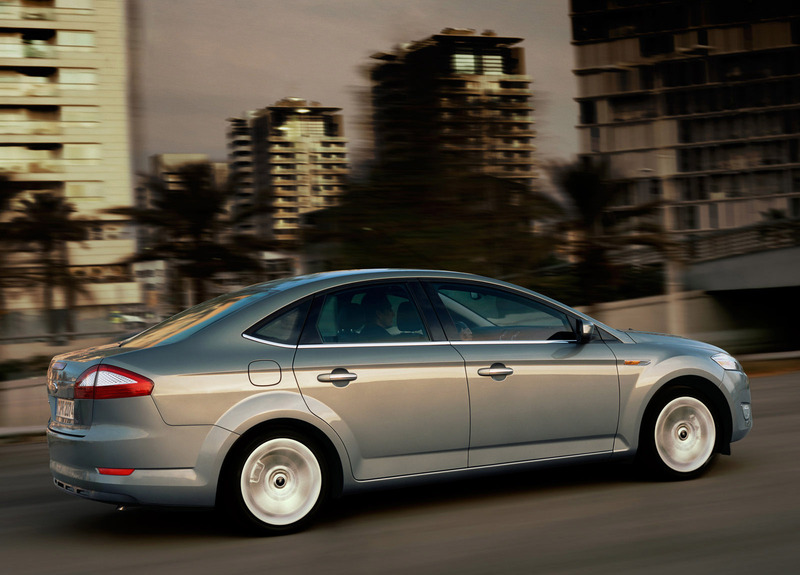 New Ford Mondeo's 'kinetic design' exterior language has also been carried through to the spacious interior which has been fashioned to carry a similar sense of style and premium levels of quality. 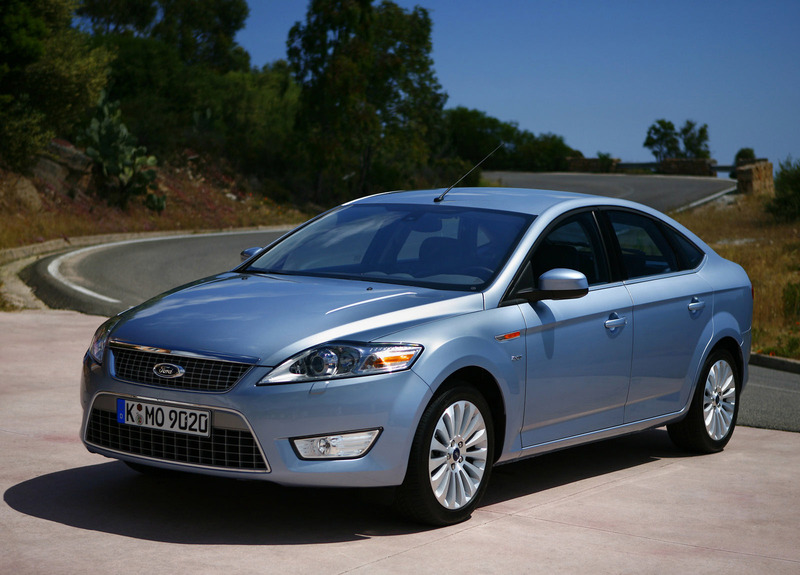 It is not a case of style over function though, as all details of the interior have been designed specifically to combine their individual elements of quality and refinement to enhance the overall sense of comfort when travelling in the new Ford Mondeo. 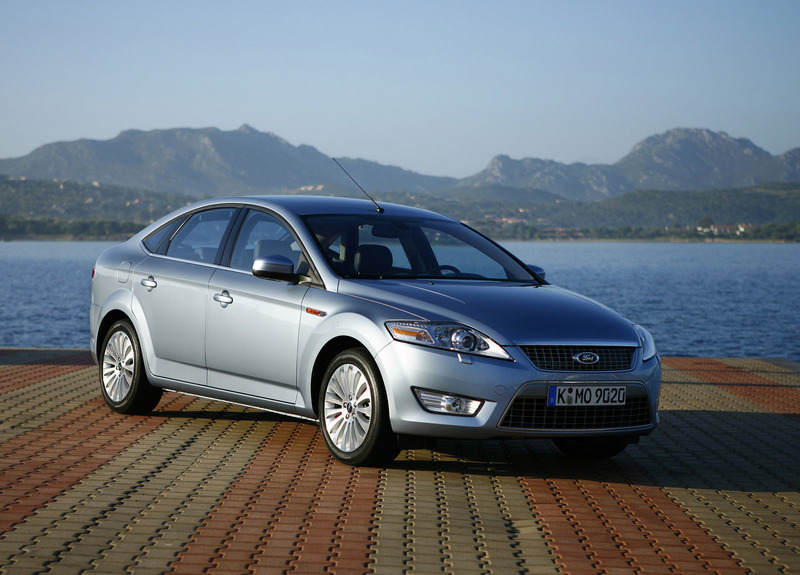 "For the new Ford Mondeo we have improved the overall quality of the interior. The proportions are more sympathetic and it is more inviting," said Nikolaus Vidakovic, Chief Interior Designer. "When you open the door you see a flow, an elegance. This is much more welcoming and harmonious than using heavy, harsh shapes." Vidakovic and his team worked closely with Ford's interior craftsmanship specialists on the fit and finish of all interior components. The results can be seen throughout, and is exemplified by a reduced gap on the steering wheel boss. "Usually, when you open a car door to get in, one of the first things you see is a gap underneath the airbag housing," said Nikolaus Vidakovic. "We have removed this gap on the new Ford Mondeo. We felt it wouldn't be doing the new car justice in terms of craftsmanship if this detail wasn't addressed." Drivers of the new Ford Mondeo will find themselves in a lower and sportier 'cockpit' driving position as opposed to the high 'command bridge' feel used in taller vehicles like the Ford Galaxy. The rake of the A-pillar and front screen lends itself to the cockpit design by enveloping and involving the driver. The higher beltline and a flow-through centre console combine to enhance the cosseted feeling for front seat passengers. Front seat legroom and shoulder room have been increased by 24mm and 52mm respectively. The raised gear shifter position - coupled with additional adjustment capability for the steering wheel and front seats - ensures that the driver can choose the most comfortable driving position and have the best possible visibility with minimum obscuration by structural or interior package elements of the car. Wide door opening angles facilitate easy entrance and exit for passengers. Demographic research and analysis ensure that all of Ford's latest models are tailored to the modern society for which they are designed, with the interior package team incorporating any necessary changes thrown up by detailed research. 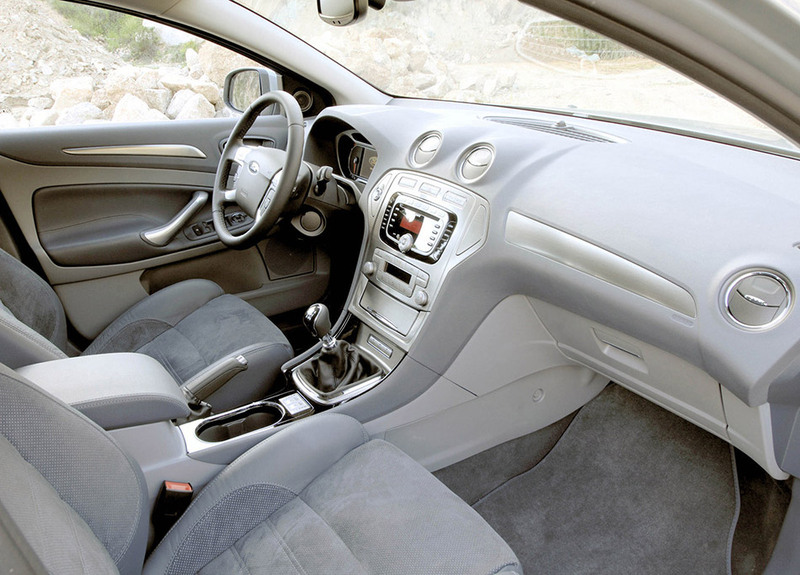 One of the interior design changes to the new Ford Mondeo implemented through this work is the integration of longer seat cushions to better suit taller passengers.